1. 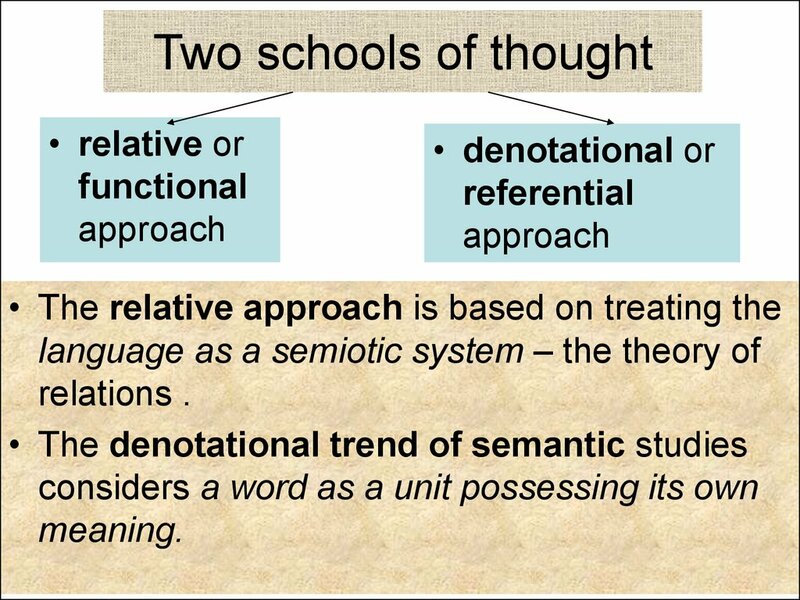 Two schools of thought. 5. 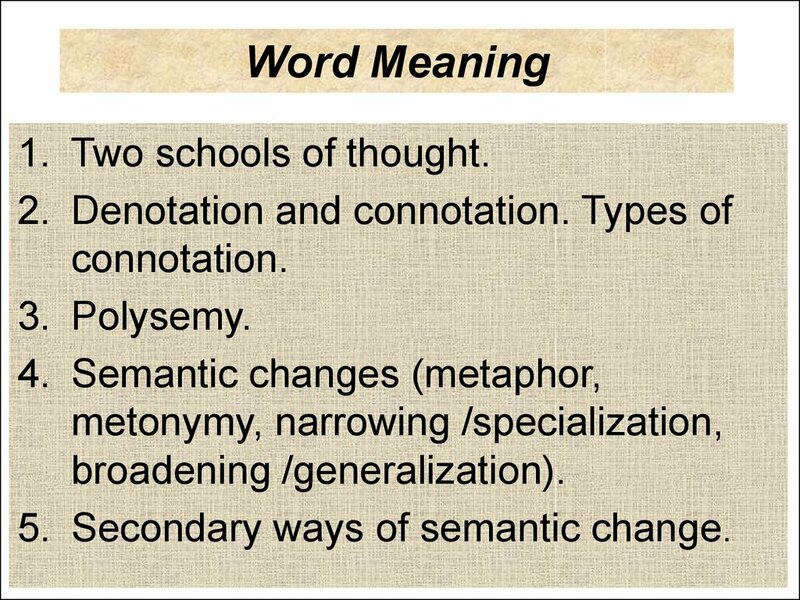 Secondary ways of semantic change. 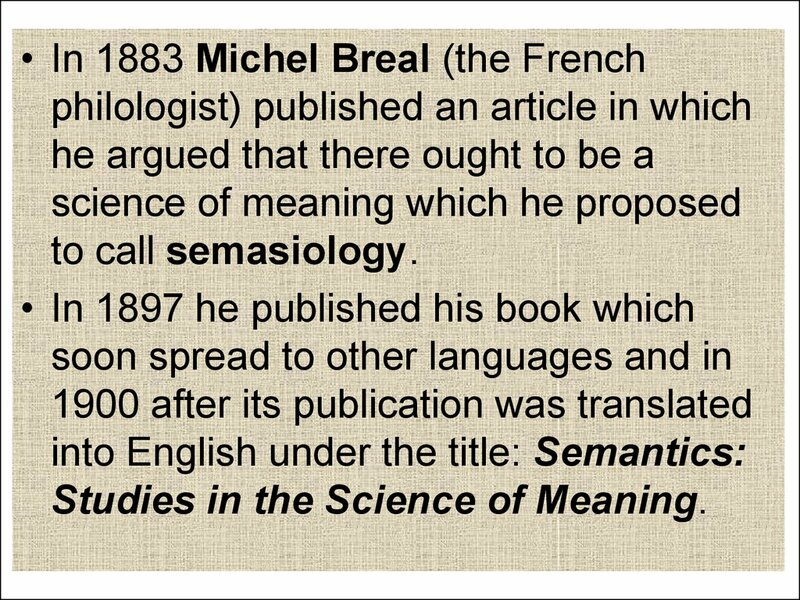 sema "sign" + semantikos "significant"
Studies in the Science of Meaning. 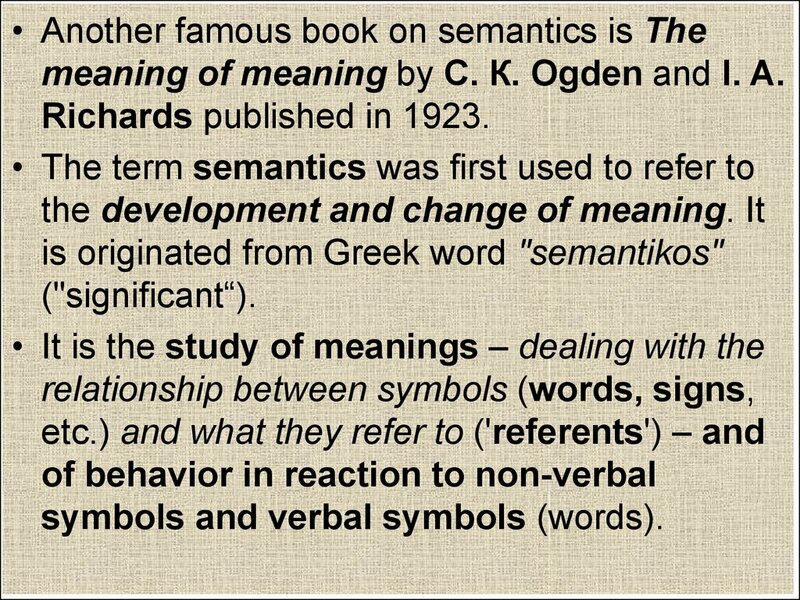 meaning of meaning by С. К. Ogden and I. 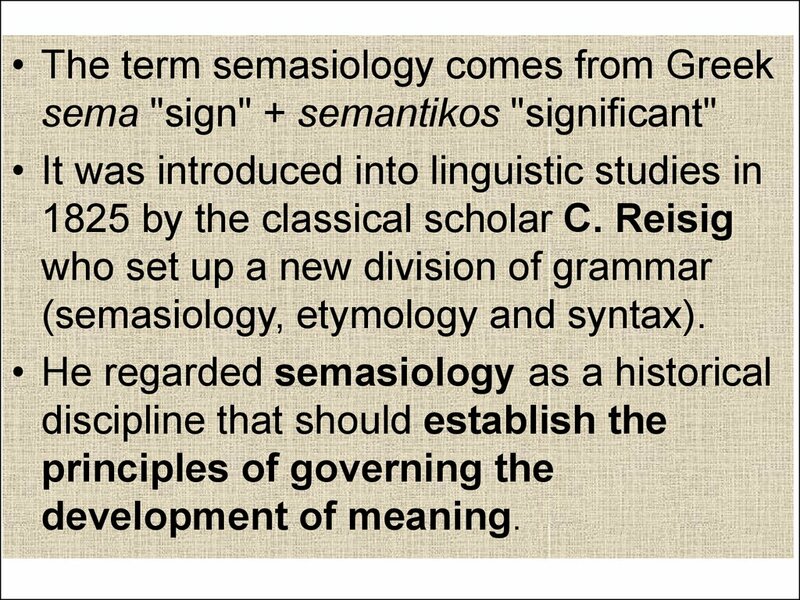 A.
is originated from Greek word "semantikos"
symbols and verbal symbols (words). 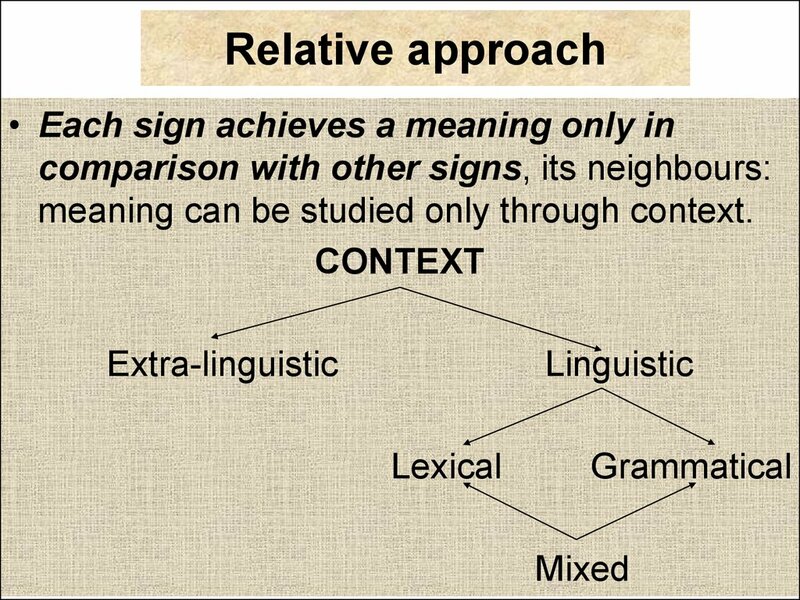 meaning can be studied only through context. 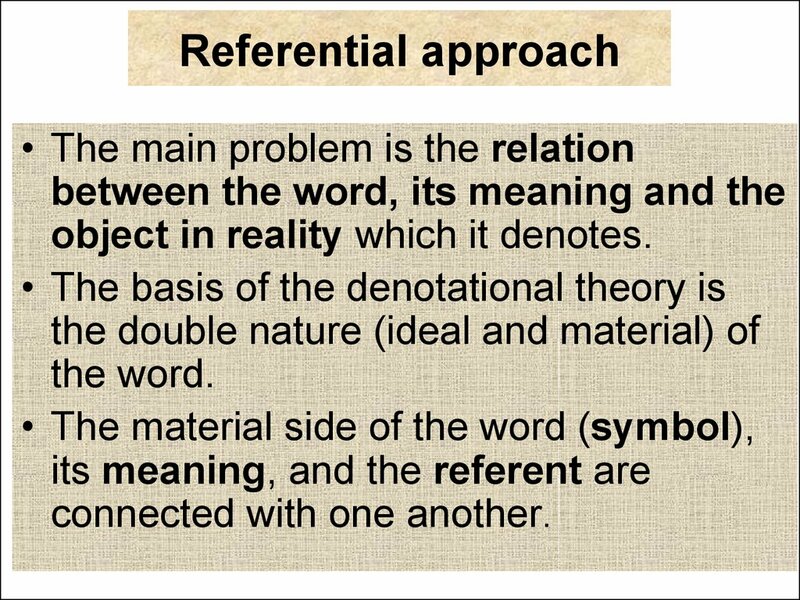 object in reality which it denotes. 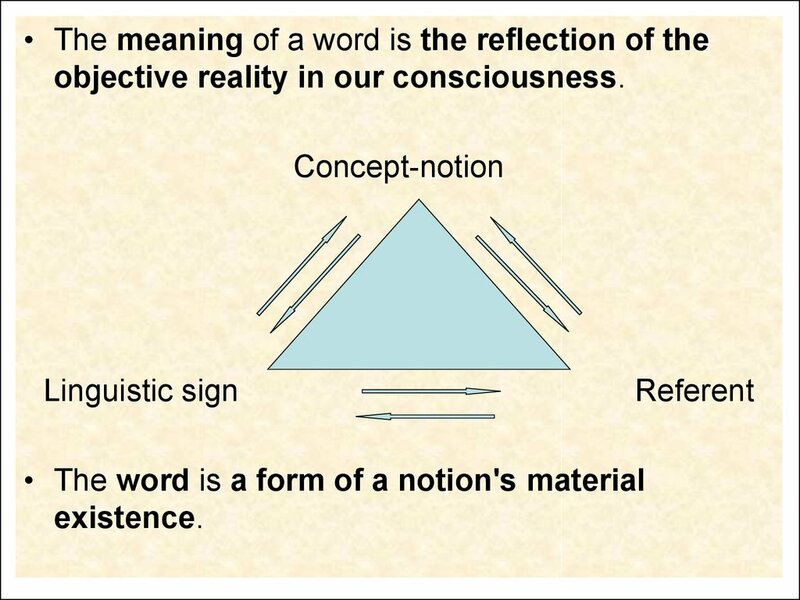 objective reality in our consciousness. 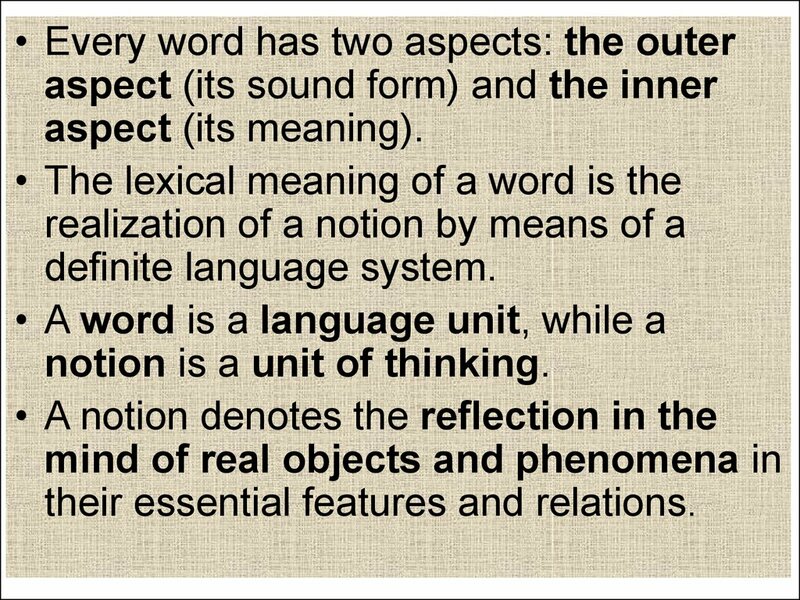 notion is a unit of thinking. 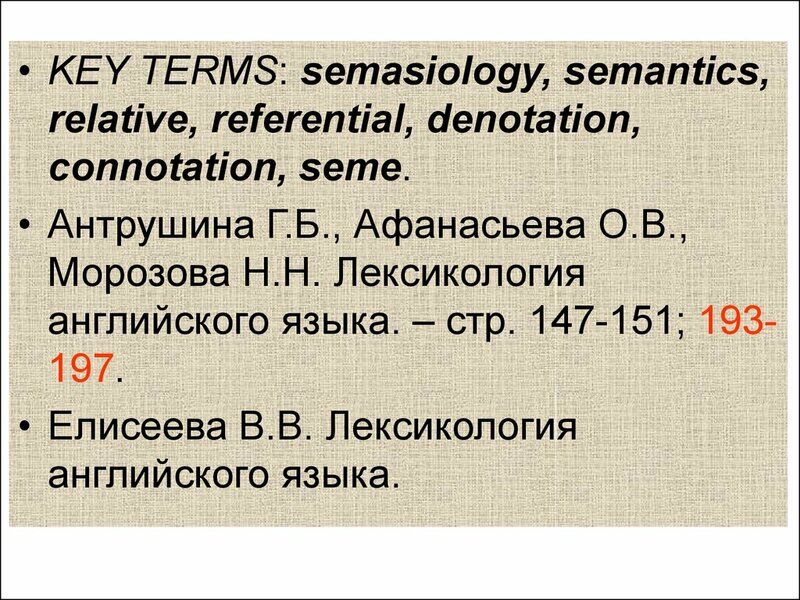 their essential features and relations. 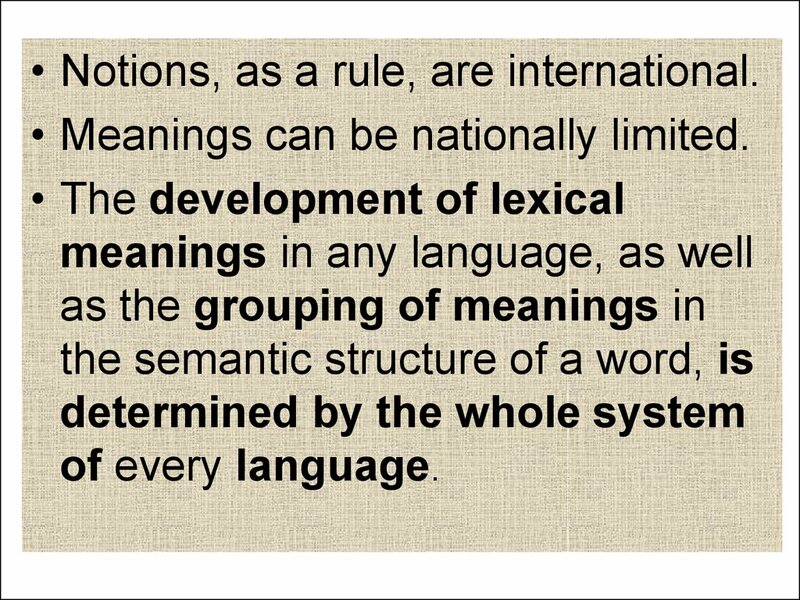 • Notions, as a rule, are international. 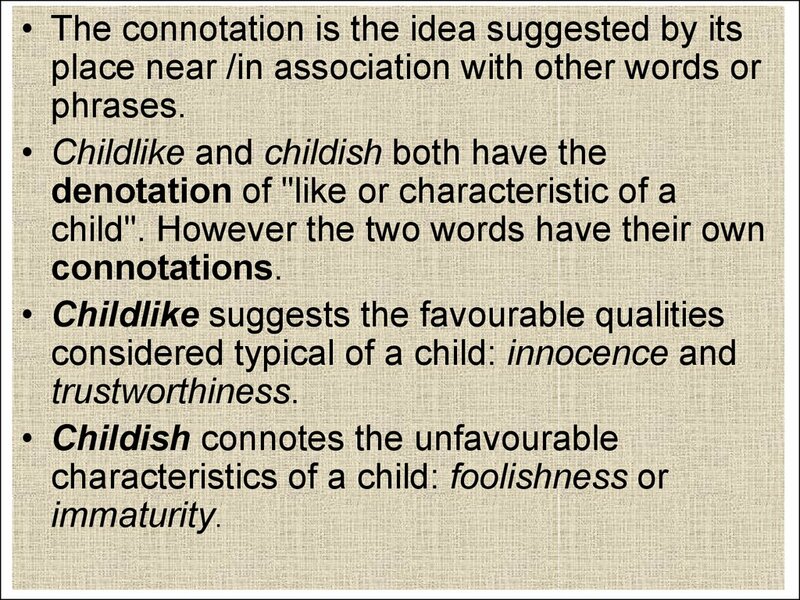 • Meanings can be nationally limited. 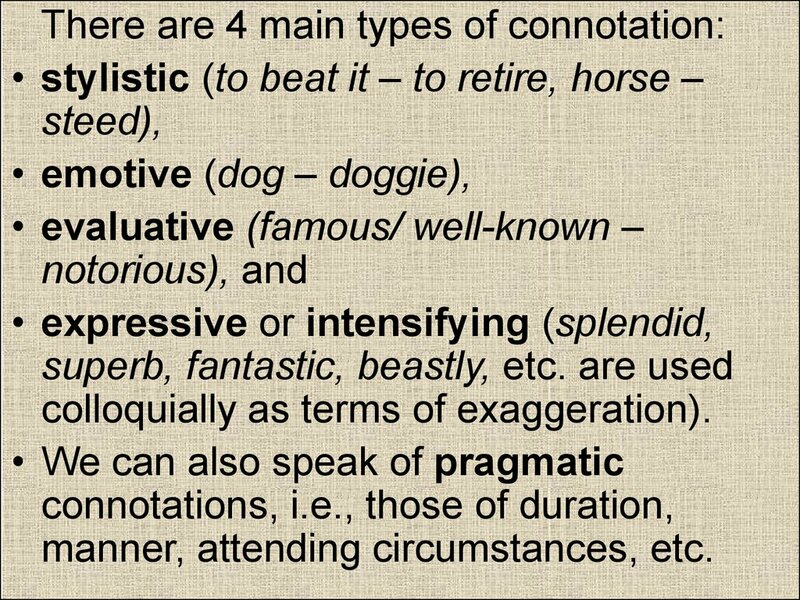 communicative value of the word. 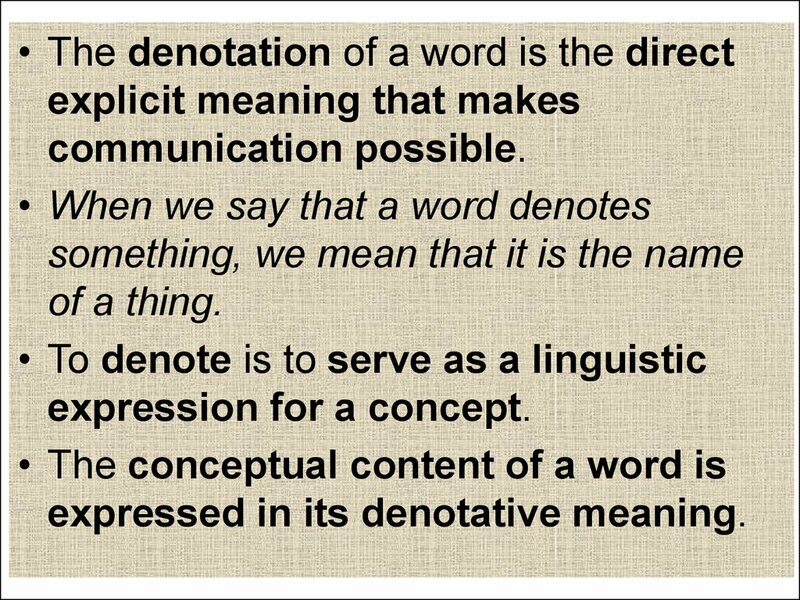 expressed in its denotative meaning. 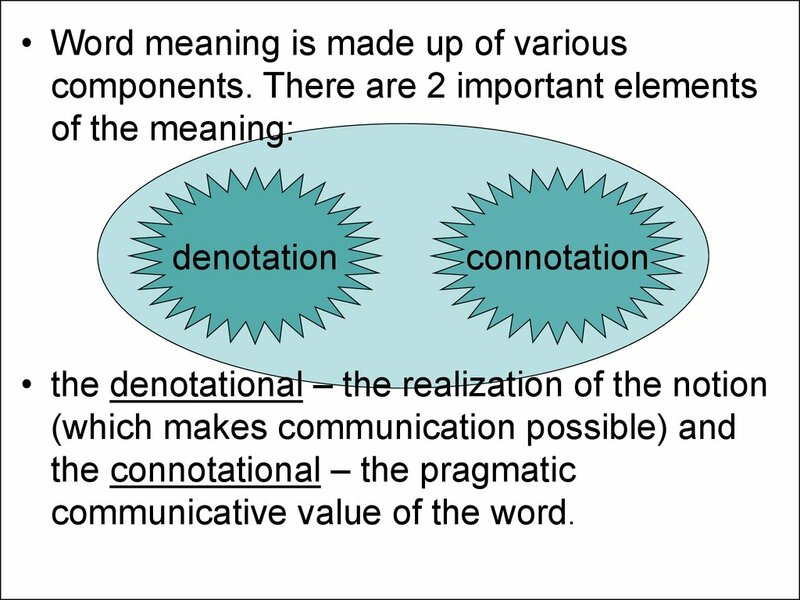 implies in addition to its denotational meaning. 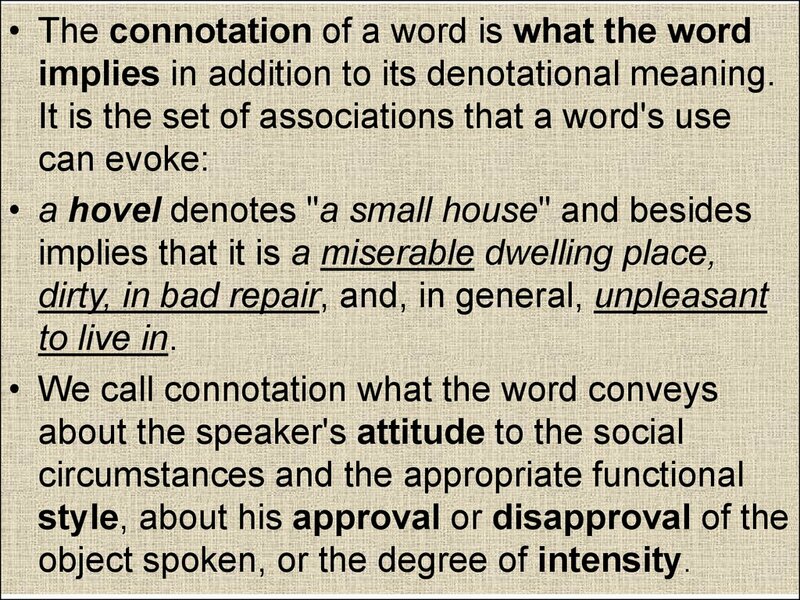 object spoken, or the degree of intensity. 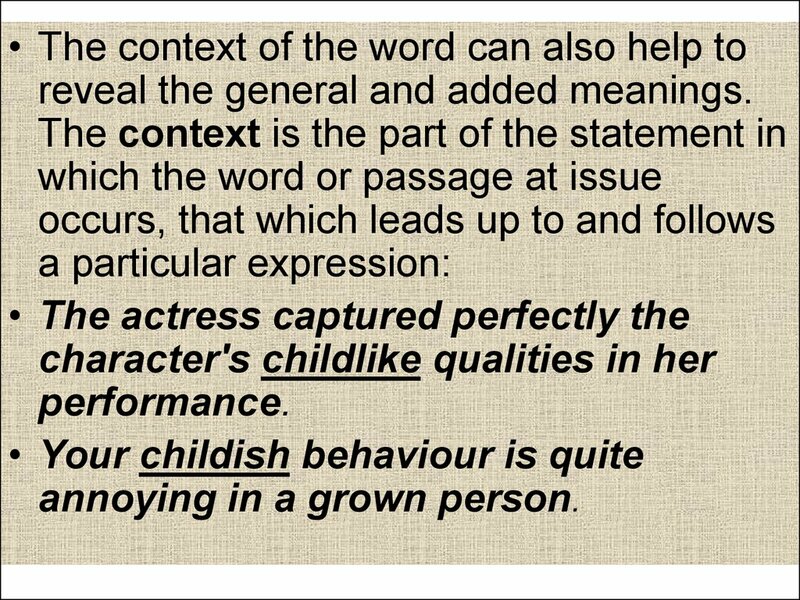 colloquially as terms of exaggeration). reveal the general and added meanings. annoying in a grown person. английского языка. – стр. 147-151; 193197.